A simpler, more efficient and reliable utility metering and billing system. From installing the smart meter to automated data collection using cloud technology, usage analytics, grievance handling to billing customers Flow does it all. With its portable and ergonoimc hardware design, user friendly software & state of the art technologies Flow enhances efficiency and ease of use in utility management. FLOW is designed for multiple services with smart technology. Our solution serves multiple utilities with a single smart metering solution. We believe in effective distribution by replacing ordinary system with more flexible, efficient and effective energy distribution networks. Smart systems installed on utilities better understand where and how resource is used. This is useful information to enhance conservation efforts. With demand forecasting, estimations about future customer demand using historical data and other information can be done easily. Improving our clients' business performance, creating long-term, win-win relationships and focusing on excellence in execution. FLOW Smart metering solution is a simpler, more efficient and reliable system that provides an end-to-end solution for all meter reading problems. 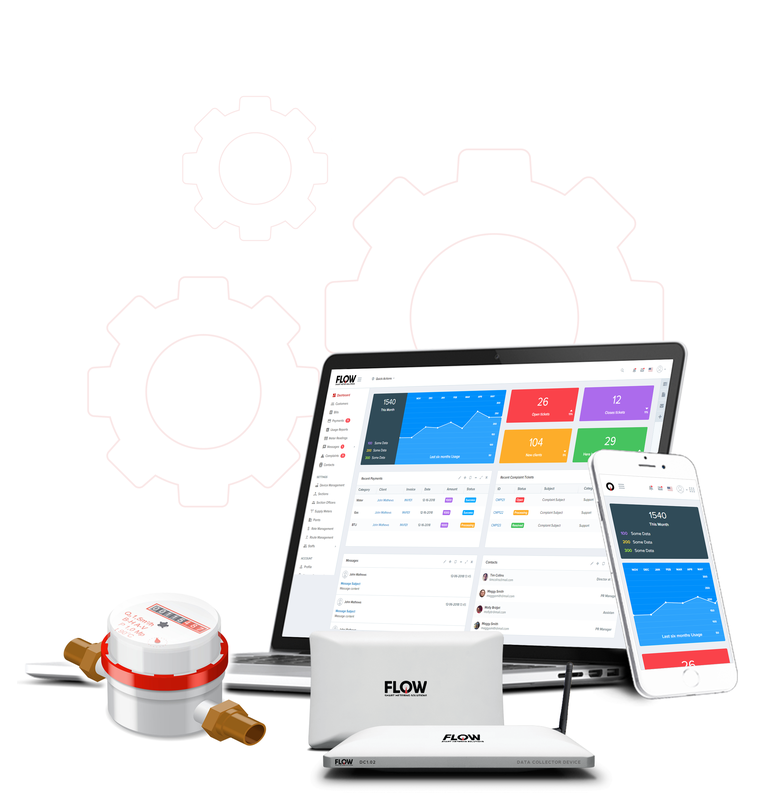 FLOW is designed for multiple services with smart technology. Our solution serves multiple utilities with a single smart metering solution. 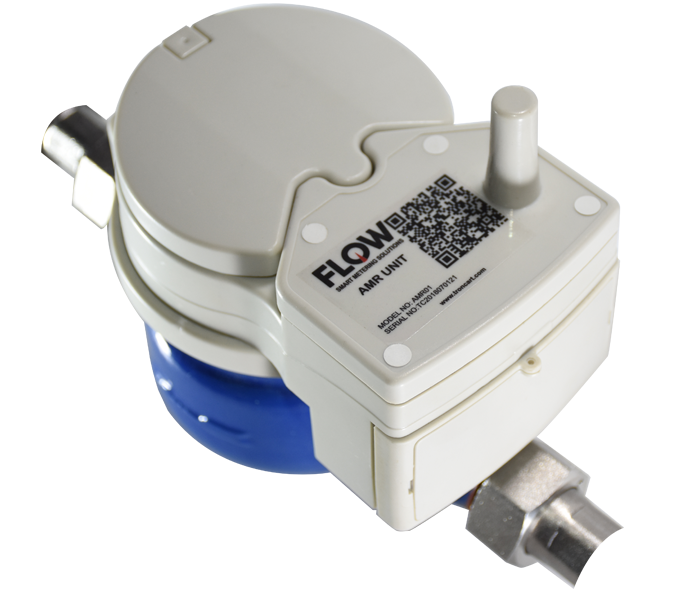 FLOW water meter aids in calculating water readings preventing water wastage in real time along with individual consumption, user friendly visualized data and billing status. FLOW offers a comprehensive range of BTU meters, all in particular, designed for flexible reading and prompt billing. FLOW smart gas meters replaces ordinary gas meters with an advanced smart energy tracker, an in-home display, and an efficient cost usage tracker. From pilot study to implementation, we undetake turn key projects to implement flow metering system. With skilled labour force and state of the art technologies system we ensure a flawless operation and 24x7 support. Following advanced quality benchmarks and international certifications we assure extreme quality in every batch of products we deliver. We provide an all parts warranty of 12 months and extended support through an annual maintenance contract. With skilled labour force and state of the art support system we ensure a flawless operation and 24x7 support. Tonsequat in erat ut, congue bibendum nulla. Suspendisse id pharetra lacus, et hendrerit mi. Praesent at vestibulum tortor. Praesent condimentum efficitur massa pharetra dolor sed. To us smart water services means improving water efficiency for the benefit of the city and its residents, using data and technologies as enablers, to increase efficiency of irrigation networks and reuse of water, allow for deferred investment in water production plants and optimization in pipe renewal, as well as preserve resources (energy and water) by enhancing leakage management and enabling demand response programs. An automated smart solution for water metering will allow the distribution company to solve major problems in distribution. Smart Meters offer numerous diverse benefits and this includes more control of your energy usage, accurate bills and better budgeting. Find out how these devices can benefit you and your customers. FLOW is not just an ordinary meter. It introduces a unique solution to calculate meter readings automatically. With FLOW, a customer’s utility usage can be accurately recorded and reported back to utility provider on a daily basis. FLOW features a configurable and insightful analytics tool for easier analysis. This will help to resolve problems faster by improving efficiency. With FLOW, utility loss and utility leakages can also be detected. The quicker to detect leaks, the quicker to fix it, saving utility & money. With Flow smart meter, flow control can be regulated remotely and regularly. Flow rate indications can be monitored and controlled. FLOW protect data from unauthorized access and data corruption for safer usage of utility. Data privacy and secure metering reduce risks. Tonsequat in erat ut, congue bibendum nulla. Suspendisse id pharetra lacus, et hendrerit mi. Praesent at vestibulum tortor. Praesent condimentum efficitur massa pharetra dolor sed. Tonsequat in erat ut, congue bibendum nulla. Suspendisse id pharetra lacus, et hendrerit mi. Our customers expect, and are provided with, the highest quality products to meet their demands.